For companies looking to get started with alcohol testing, purchasing an Evidential Breath Testing (EBT) device (especially for multiple technicians) is a significant investment. Many companies may be tempted to use a non-EBT device because of the lower cost, but only an EBT device can be relied upon to provide accurate and legally defensible alcohol test results–protecting employers, TPAs, and collectors from potential litigation. 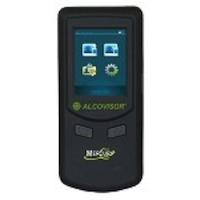 To help meet the needs of small businesses and collectors, Verify Diagnostics offers the best value of any Evidential Breath Tester: the Alcovisor Mercury EBT. With a vibrant touchscreen display and a 10,000 test memory, the DOT-approved Alcovisor Mercury is ½ the price of comparable models, offering you unparalleled functionality and affordability. Our 1- or 2-year lease-to-own plans are perfect for any business or collector looking to start alcohol testing. With regular low monthly payments, it is easy to get started and begin alcohol testing without having to worry about a large initial investment. Plus, our Alcovisor Mercury Canadian Warranty Program covers both parts and labour for your Alcovisor Mercury EBT, empowering you to protect your investment for up to 3 years. If something happens to your device, we’ll loan you a EBT and ship it overnight so you can get right back to testing while yours is being serviced. To learn more about the Alcovisor line of EBTs and our leasing and extended warranty plans, ask your sales representative or call us toll free at (866) 446-2953. Hi there. We are located in Regina, Saskatchewan and are interested in leasing a wall mounted breathalyzer for our pub patrons. Do you offer that service or have any recommendations on who we could contact to obtain such a device? Are your devices available for use in the US? If so I’m interested . I notice you answered Grant a month later. I think I should call on Monday.